Visiting Rome with kids is a kind of dream coming true. 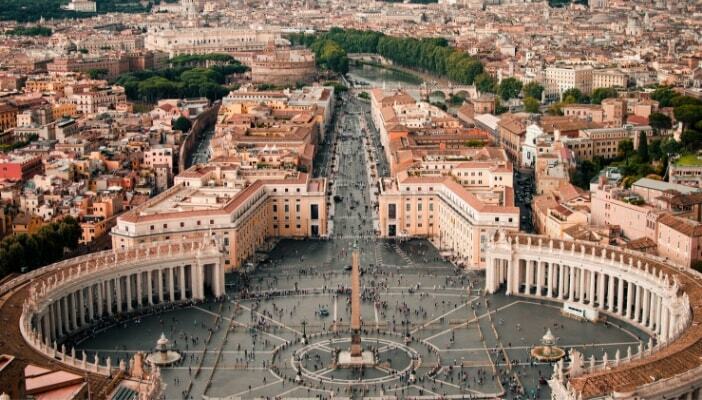 The City of Seven Hills, the Eternal City, Urbs Sacra (the Sacred City) – they all pertain to Rome. It is a city of many names and historical architectural structures. So, if you’re planning a European trip with the family, Rome should definitely be one of your stops. 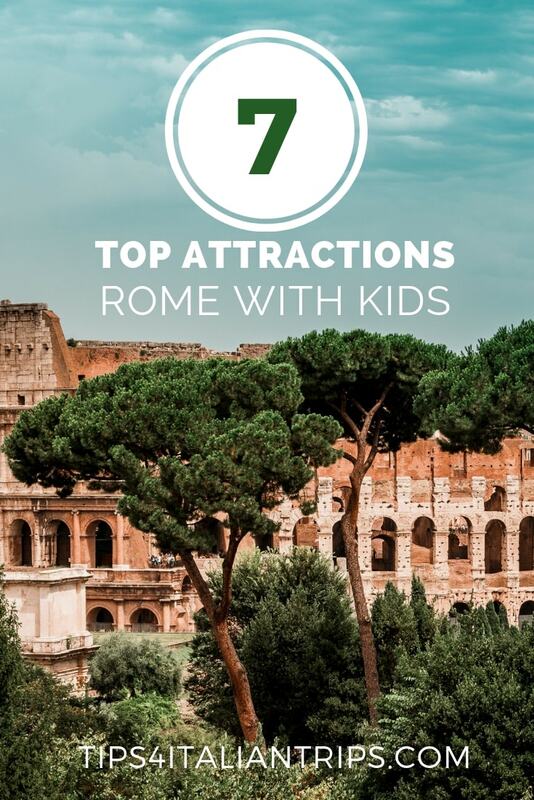 In this guide, you’ll find seven must-see landmarks in Rome that you should visit with your kids, and of course, the best family-friendly accommodations in the city. When you visit Rome with your family, you can’t leave without seeing the Colosseum. 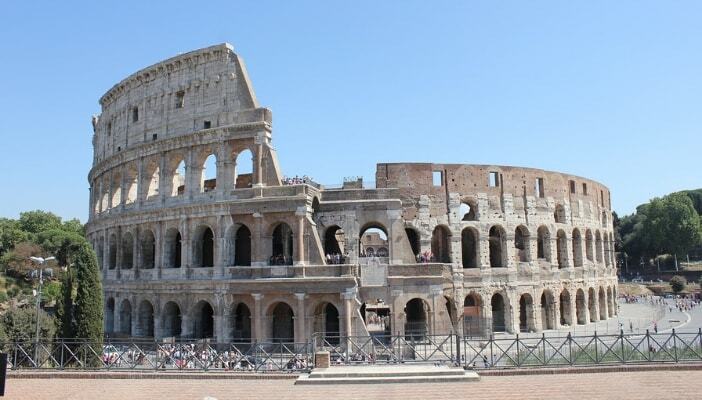 Also known as the Flavian Amphitheatre, it is one of the most iconic structures in the city and around the world. The construction of the Colosseum started around 70 AD. Using travertine, tuff, and brick-faced concrete as materials, it took nine years for 60,000 Jewish slaves to complete the largest amphitheatre in the world. Gladiatorial combats and other entertaining public events were held here. 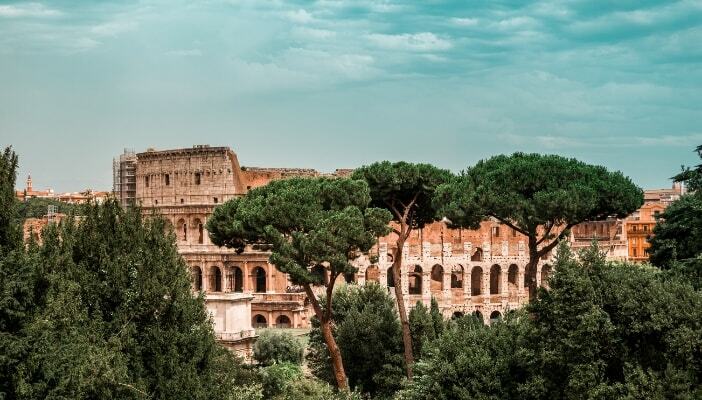 More than any landmark in Rome, the Colosseum will give a glimpse of ancient Rome for kids and adults alike. 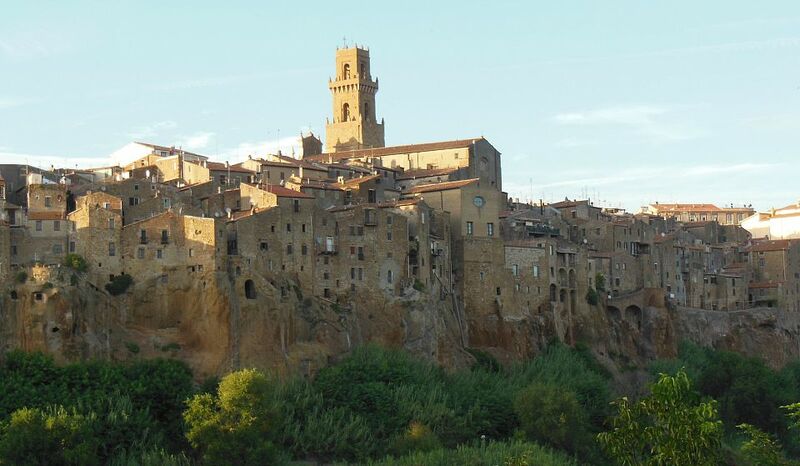 Rome is known as the city of seven hills. Palatine, Capitoline, Aventine, Caelian, Esquiline, Quirinal, and Viminal mark the original boundaries of the town. They were significant in the Roman Empire’s acquisition of power in earlier centuries. But there’s one more hill in the vicinity of modern Rome that most people don’t hear about in history lessons. Il Gianicolo, also known as Janiculum, rests outside the ancient city but offers the best view of Rome from its hilltop. You can also find busts of the heroes of the Italian Risorgimento along Il Gianicolo’s pathways. 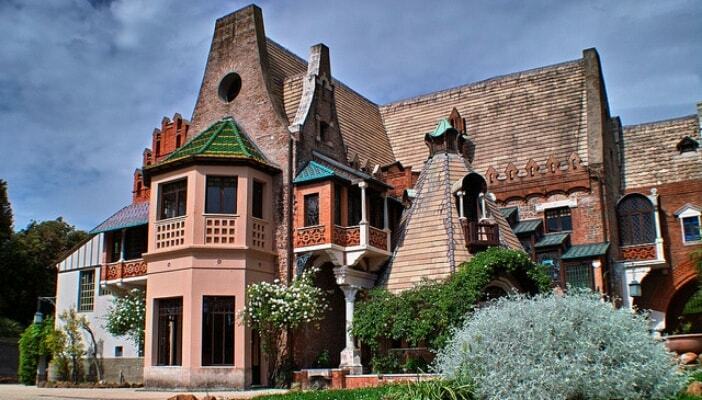 For an interesting activity in Rome for kids, head to La Casina delle Civette, or The Owls’ House, located in Via Nomentana. It is a historical estate where Prince Giovanni of the Italian noble family, Torlania, lived as a young boy until his death in 1938. Since his death, additions transformations, and restorations were made to the estate. Today, it serves as a museum and one of the most unusual buildings in the city, given its un-Roman rustic architecture and design. The Pantheon is one of the most popular Roman landmarks. The original purpose of the building is still clouded in mystery, but most historians believe that it was a temple to all gods; after all, the word “pantheon” is Greek for the phrase “honour all gods.” Inside, you will find a massive dome with a hole in the centre. 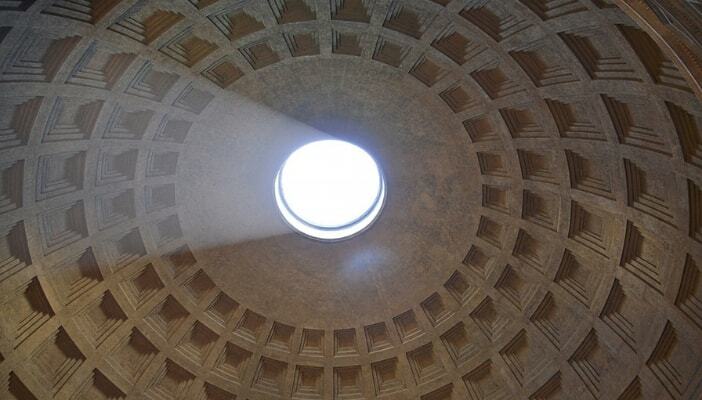 The eye of the Pantheon, also called the Oculus, is meant to be a sundial. At noon on an equinox, the sun shines through the oculus and lights up the front courtyard. As tourists, you can’t leave Rome without taking a picture in front of the Pantheon’s iconic columns. To see the whimsical part of the Eternal City, a walking tour of Quartiere Coppedè is a must. 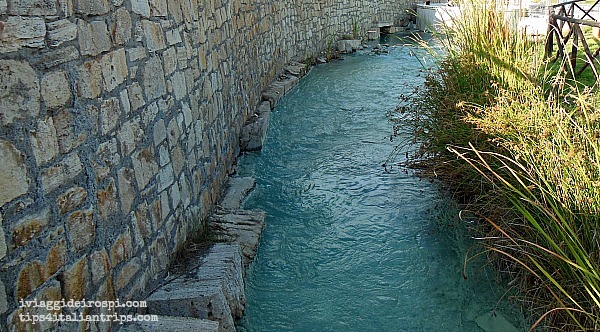 It is located inside the Trieste district in the northern part of Rome. The buildings in this area feature a mix of Ancient Greek, Roman Baroque, Medieval, Mannerist, and Art Nouveau architecture and design. These different styles create an exciting visual experience for people who visit Quartiere Coppedè. This whole neighbourhood was named after Gino Coppedè, the Italian architect and sculptor who designed the district in the 20th century. He used castle-like structures, frescoed facades, Gothic gargoyles, Moorish arches, Tuscan turrets, and other interesting details to add to the whimsy of Quartiere Coppedè. The Roman Forum is surrounded by the ruins of ancient political buildings in Rome. It is where religious and secular spectacles, public meetings, and law courts were held. Sometimes, gladiatorial combats also happened here. However, during the fall of the Roman Empire, most of these buildings were destroyed. Only a few of the original structures survive to this day. 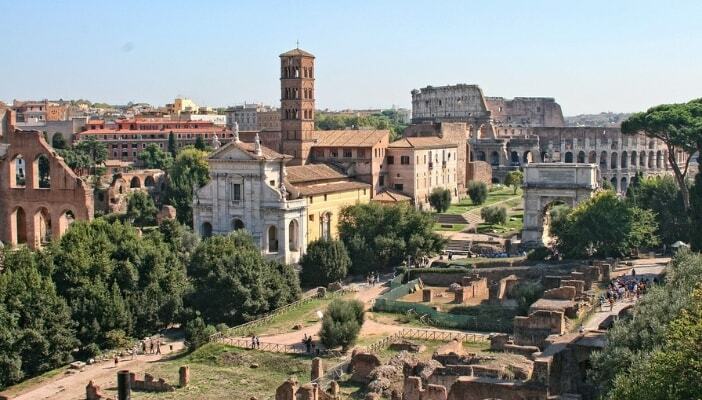 Among the buildings that you can still see in part or in whole are the Temple of Deified Caesar, the Temple of Castor and Pollux, the Temple of Saturn, the senate house (also known as the Curia), the Arch of Titus, the Arch of Septimius Severus, and the Cloaca Maxima. It is a great place to learn the history of Rome for kids because they can walk where the ancient Roman people did. 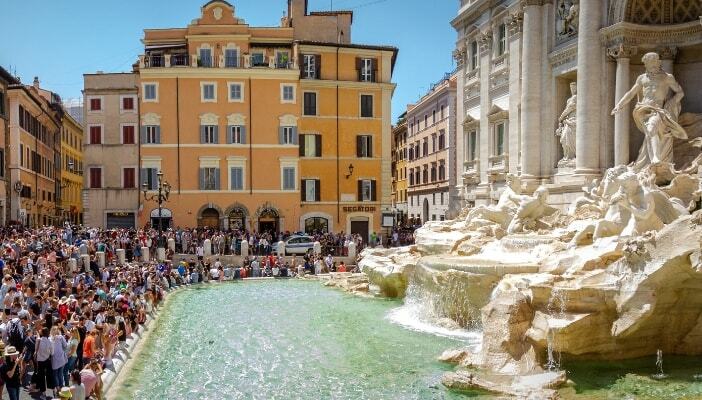 The Trevi Fountain is located at the Piazza di Trevi. It was designed by Nicola Salvi in 1732 and was completed by Giuseppe Pannini thirty years later in 1762. It is one of the oldest water sources in Rome, and it remains to be a working fountain to this day, using almost three million cubic feet of water every day (don’t worry, the water is recycled). The Trevi Fountain was created with the same materials that were used to build the Colosseum. If you’ve seen photos of the fountain, you’ll notice that marble statues and figures adorn it. The statue in the centre of the basin is of Oceanus, the Greek God of the ocean. He is accompanied by Tritons (which are half-man, half-merman creatures) on horses, Agrippa, and Virgo. Aside from the abovementioned Roman landmarks, you can also go to Vatican City, a European country located within Rome. Here, you’ll find world-famous places like the Sistine Chapel, St. Peter’s Basilica, and the Vatican Museums. 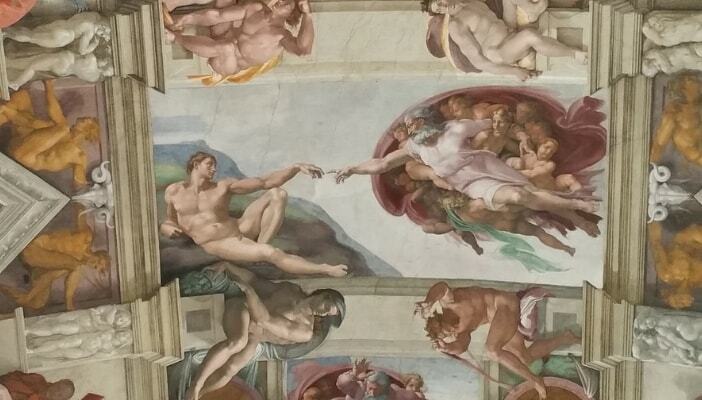 The Sistine Chapel is the home of Michelangelo’s famous painting and the official residence of the pope. It was named after Pope Sixtus IV who ordered its restoration between 1477 and 1480 and commissioned Michelangelo to paint the ceiling. Before him, the chapel was called Cappella Magna. > GET THE TICKETS NOW AND SKIP THE LINE! St. Peter’s Basilica, also called The Papal Basilica of St. Peter, is located in Piazza San Pietro in Vatican City. Its design reflects the Italian Renaissance movement. Underneath its main floor, there’s a burial site where several Catholic popes have been buried. Through the centuries, St. Peter’s Basilica has been considered as one of the holiest temples of the Catholic Church. It is also an important pilgrimage site for devout Catholics around the world. The Vatican Museums are a series of Catholic art museums located in Vatican City. 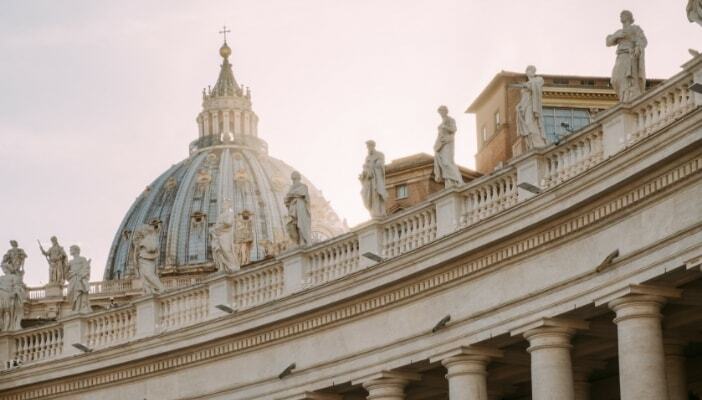 Aside from art pieces that popes throughout the centuries have acquired, they are also home to the most famous Roman sculptures and Renaissance paintings in the world. Hotel Grifo is located in Via del Boschetto, Rome. It opened its doors in 1976 and has since provided its guests with affordable rooms in the ancient district of the city. The hotel resides in a historical building that was declared a World Heritage Site in 1980. So for a truly historically immersive family vacation, stay at Hotel Grifo. 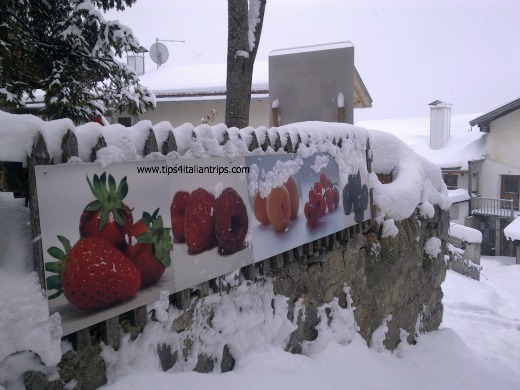 Hotel Grifo’s triple and quadruple rooms are perfect for travelling families. You can also request for an infant crib and additional beds from the front desk. Welcome Piram Hotel’s interior design and architecture will remind you of ancient palazzos where Italian royalties once lived. Located in Via Giovanni Amendola, Rome, it is a short distance away from Rome’s Termini Train Station. Its location makes it an ideal accommodation for families travelling across Europe. Welcome Piram Hotel has a special offer for families. Their family package includes a private transfer from the airport, welcome drinks, late check-out option, and 10% off on their spa treatments. Grand Hotel Parco dei Principi is a five-star hotel located in Via Gerolamo Frescobaldi, Rome. This luxury hotel has elegantly decorated rooms that capture the city’s signature architecture and design. Without a doubt, this is one of the best hotels in Rome. Each room will give you a breathtaking view of the city. Guests also love the hotel’s iconic outdoor pool. Grand Hotel Parco dei Principi offers a family package that includes accommodation in a family suite, a 50% discount on the superior room for children up to 12 years old, a 10% discount for lunch or dinner, complimentary daily access to the Prince Spa, and more. In my opinion, the best time to visit Rome is between September and mid-November and from April to June when the crowds are fewer, days are bright and sunny, and evenings are crisp and cool—usually only requiring a light jacket. Rome has two airports: Fiumicino and Ciampino. Fiumicino international airport is the biggest one. If you are flying overseas, you will probably land there. Ciampino is a Ryanair hub, so you can consider arriving in here coming from other European spots. Families can easily visit Rome, arriving with Frecciarossa train (high speed) both from South and North of Italy. It takes one hour and ten minutes to get from Naples by Frecciarossa and one hour and forty-five minutes by Frecciabianca. It takes one hour and a half from Florence, and nearly three hours from Milan to get to Rome. 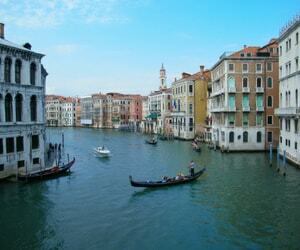 Venice is instead at three hours and forty-five minutes from Rome with a high-speed train. 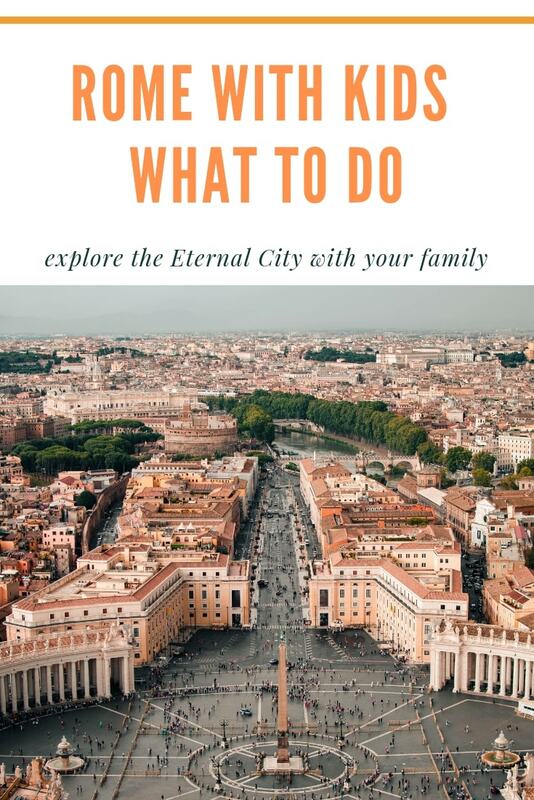 From hotel options to famous Roman tourist spots to Vatican City landmarks, this guide has helped you plan your family vacation. Rome is one of those cities that will change your life for the better, so take your time to appreciate the experience, especially when you’re going on this journey with your family. I was a convinced single & traveller, then I met a Toad and we packed together...now we travel in 4, as a toddler & a pet joined the team!